When Pink Floyd commissioned a video for ‘Louder Than Words’ there was no specific brief. This was totally normal. I had heard the music and read Polly Samson’s lyrics. The emphasis of the lyric seemed to be about the band, not specifically placed in any time frame, but more about their personal relationships in their nearly five decade career. “It’s louder than words this thing that we do” speaks volumes. Pink Floyd have nearly always made some formal, or informal, statement about things they do, be it a reflection of social comment or a sense of political leaning. Writing an idea for a music video for them is complicated. 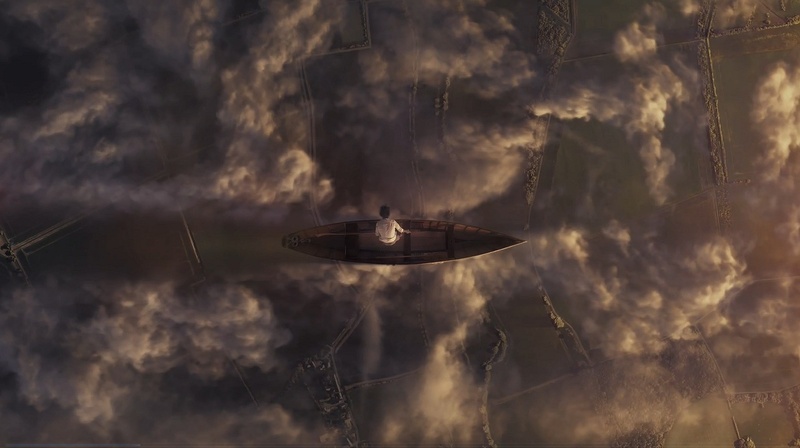 It can be something current, but then it’s easily dated; it couldn’t really address the lyric as that would involve starting at the genesis of Pink Floyd through to the present day, and that’s more than a five minute film. What was required was something more observational, more a case of bringing an awareness of something that one might have no previous knowledge of especially if it effects the future of our planet. “It’s louder than words this thing that we do” was the line that caught my imagination. Earlier in 2014 I had made a video for the reissue of a track from The Division Bell, ‘Marooned’, and I had decided with David and Nick’s blessing to go to Pripyat, the abandoned and radioactive city on the outskirts of Chernobyl. The video gives a look at what will happen if mankind doesn’t pay careful attention to the dangers of nuclear energy. The film doesn’t cast any judgement - it’s purely a bit of sci-fi that shows a dead city, dead for centuries to come. It’s an overview of what can result if we don’t take more care of our world. In the case of Louder Than Words I was shown by my producer, Fiz Oliver, an image of rusting ships lying in the sandy desert of what was once the Aral Sea. A surreal image if ever I saw one, and a shocking example of human mismanagement and one of the planet’s worst environmental disasters. A once thriving fishing community that sat on the edge of the fourth largest inland sea in the world covering some 66,000 square miles straddled between Kazakhstan and Uzbekistan was drained in the 1960’s by diverting two major rivers to supply water to grow cotton. In the process, and over some 20 years, the Aral Sea shrunk to 10% of its original size destroying the fishing industry and whole townships. Some efforts are being made to replenish the North Aral Sea but it’s going to take decades to recover. A whole generation of children living in the impoverished towns and villages on the once fertile shores of the Aral will never know the joys of swimming, fishing, gazing out over the azure blue water or being a part of a traditional and successful fishing community that went back centuries. Stories told by parents and grandparents recount better days that their offspring would find hard to imagine. To see the flat, undulating seabed turned desert, stretching for miles to the horizon, is sad beyond belief. By chance both David and Nick had seen the Aral Sea from a plane when they flew to see the launch of the Soyuz-7 spaceship from Bajkonur in November 1988, so, when I mentioned the catastrophe they were well aware of the circumstances. I presented a script which had some of the ingredients of the Aral Sea story, as well as the character from the album cover - the mystic rower ploughing his way through dark clouds at sunset in a wooden Skiff. 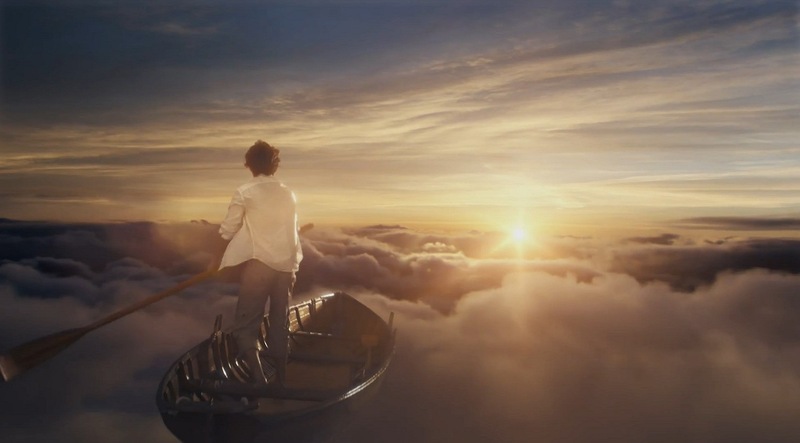 The only proviso given was a visual reference to David, Nick and Rick as Pink Floyd during the choruses of Louder Than Words, with imagery seen from the Astoria and Olympia recording sessions as a prerequisite. Apart from that they left me to my own devices. 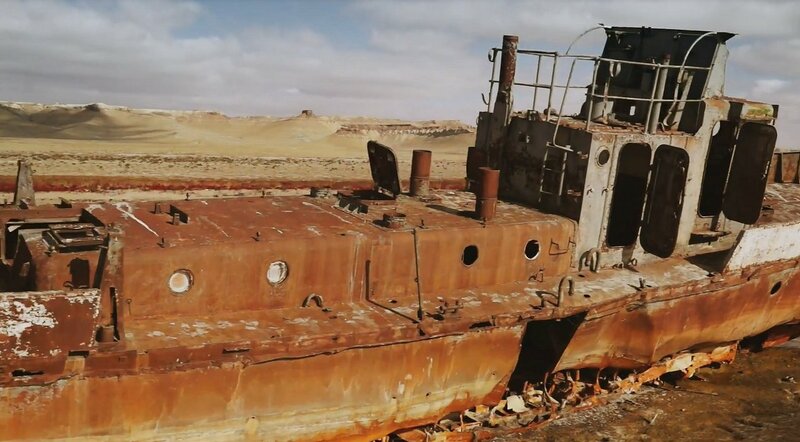 Aralsk, in Kazakhstan, used to be the main seaport for the Aral Sea, and is where a few of the rusting ships still exist, and was therefore the obvious place to film. We used a Quadcoptor, Red cameras and crew provided by a local company in Almaty, and took our own DP, Brett Turnbull. Benny Trickett was assistant director, editor and DIT specialist, and Fiz Oliver producer. Aralsk is remote, to say the least, and after a plane trip, and then an eight hour train ride it’s a journey lasting some 18 hours. The ships lie a further two hours drive over rough roads carved through the ancient sea bed. The weather was dismal - snowing for some of the time and then a chilly 10 degrees below freezing with 20 mph winds. Just what you don’t need! However, the sun shone for a few hours each day and we filmed as if our lives depended on it. Editing lasted some four weeks and consisted of a lot of CGI work by Glassworks in London.